Towerlane Centre offer more than 73 brand name stores. Towerlane Centre is located in Airdrie, Alberta - 505 & 705 Main St. South, Airdrie, AB T4B 2B8 (GPS: 51.28886, -114.013423). Look at the list of stores in Towerlane Centre, hours, location and information about mall and special events, sales, coupons. You can choose store from list below and get detail information - other stores locations for the brand, location, shopping hours, phone, map, directions contact. Towerlane Centre is one of the best shopping place for spend your free time - mall/shopping center has all types of stores - outlets, department, fashion, traditional and more. Have you ever visited Towerlane Centre? Do not forget to write shopping review and rate your satisfaction. 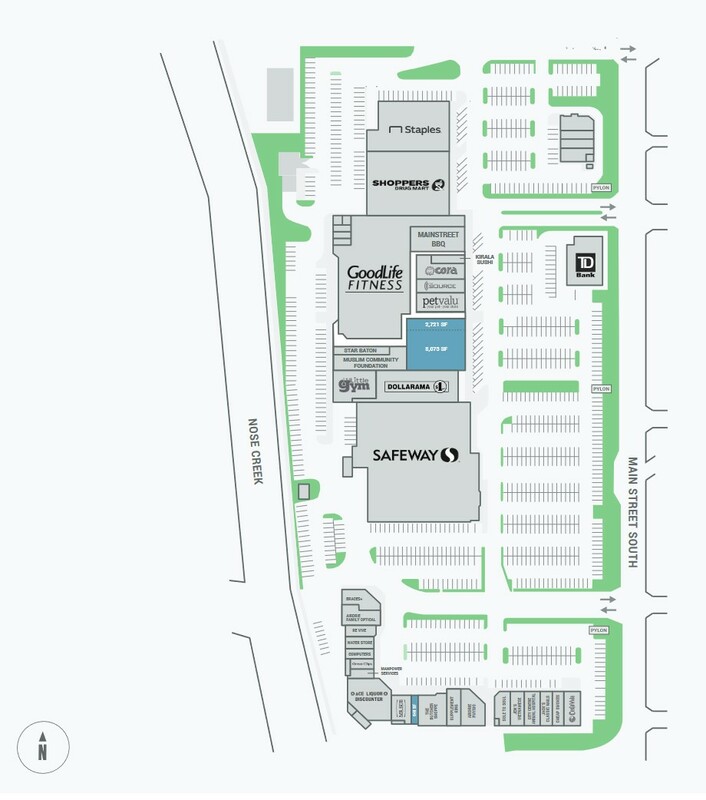 Towerlane Centre is accessible from Alberta 2, take Exit onto Veterans Blvd (in Airdrie), continue in the west direction, then turn to the left on Main St. Towerlane Centre is located not far away from Alberta 2. First of all, this is an outdoor mall, which is an automatic turn off for me. Secondly, they don't maintain the parking lot or exterior very well. There is always garbage strewn all over the sidewalks, and in the winter, snow and ice removal is non-existent so you take your life into your hands just driving in there. Parking is atrocious. They put too many shops where parking used to be, so now you have to fight for a stall. Homeless people and drug dealers are always hanging around asking for cigarettes or money. Safeway shopping carts are scattered all around the mall. There is no safe way to turn left onto Main Street, especially during rush hour. My advice is to not go to this mall unless it's an emergency. Give us your experience with Towerlane Centre by writing a short review.